Attach and view Navisworks (Us site) and BIM 360 Glue (Us site) models directly inside AutoCAD software. Reference the Navisworks model as you design to avoid potential conflicts. 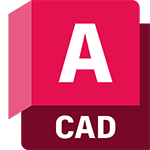 Take advantage of Navisworks’ vast file format support to bring models into AutoCAD from other applications.